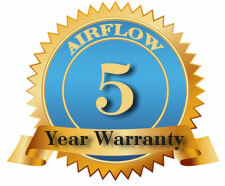 AIRFLOW Appliance Repair - discounts and special offers. On this page, you can always find our current promotions, coupons and special offers. 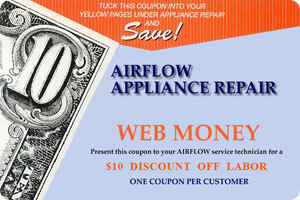 To receive a discount, please print out the coupon and present it to the service technician. Come back to our web site for new discounts and special offers. Please mention this special when making an appointment to receive 10% off labor discount.